Provide a secure and moderated platform for your media. A simple, but powerful granular permissions structure allows you to control the availability of tools and content to specific users or groups. The EU General Data Protection Regulation (GDPR) will be enforced on the 25th of May 2018. The new legislation poses some challenges to educational organisations as to how they handle their digital content and fulfil their obligations as data controllers and processors. 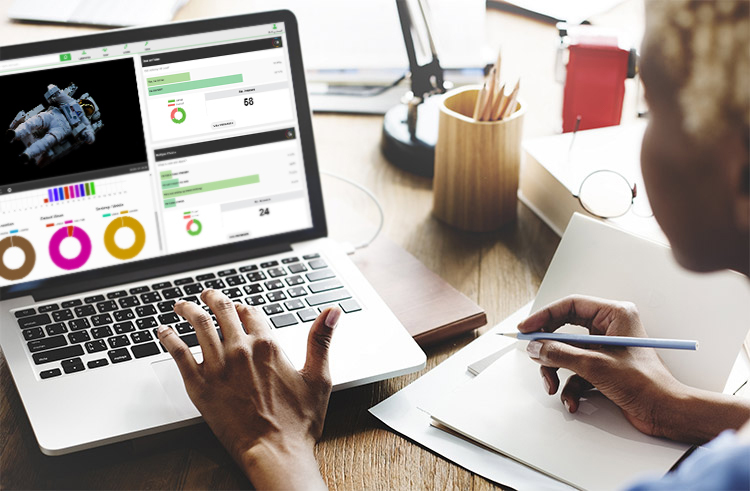 An increasing number of educational organisations are adopting Planet eStream because our platform offers them a secure way of managing their content with built in tools to support their GDPR strategies. To further assist in the management of media in line with GDPR guidelines, our Q2 2018 release introduces additional tools including. Read more on how Planet eStream supports GDPR compliance and view our Data processing contract and DfE Cloud Educational Software Services Supplier Self Certification Statement here. Planet eStream’s Flexible schema based permissions allow you to control access to your media library on a single user and group level. With granular permissions you can create schemas to specify what level of access to features, tools and content your users will have. It is very simple to set up bespoke access for staff, students and even parents. Planet eStream has many authentication options available, to give you full and comprehensive control over your media archive. Options include LDAP, Active Directory, Microsoft ADFS, Microsoft Azure AD, SAML2/Shibboleth and Google Login. Simply add new or guest users that are not part of your AD to any schema or create a separate schema for ‘ad-hoc’ users. You can even give ad-hoc user accounts an expiration date, sanctioning users to access content for a specific event or period of time. This is a great tool for granting access to live streams of key events to parents and stakeholders. There are many ways for administrators to control access to content. An example is via metadata tagging, many SVP users require content to have an age restriction field/filter to ensure that it is fit for purpose for their students. There is also the ability to restrict a user’s access to content via IP ranges, typically this enables organisations to restrict the viewing of specific content to local IP addresses. In an educational context for example, this would apply to restricting the access to TV and radio recordings to UK IP addresses to satisfy ERA licensing laws. User statistics enable you see general video view counts and also who has viewed particular content. This is a great for tool for educators to see who is viewing and engaging with their content to enable them to manage their media accordingly. There are also in depth analytics for interactive content such as quizzes; these enable educators to see students’ viewing habits in much more detail. Overall system statistics enable administrators to easily manage the media archive by generating reports, graphs and CSV files. They can also track uploads, downloads, views and searches as well as monitor user activity and importantly the popularity of media items. There is also built in functionality to view the growth of your media library over time and monitor activity within certain areas such as categories.